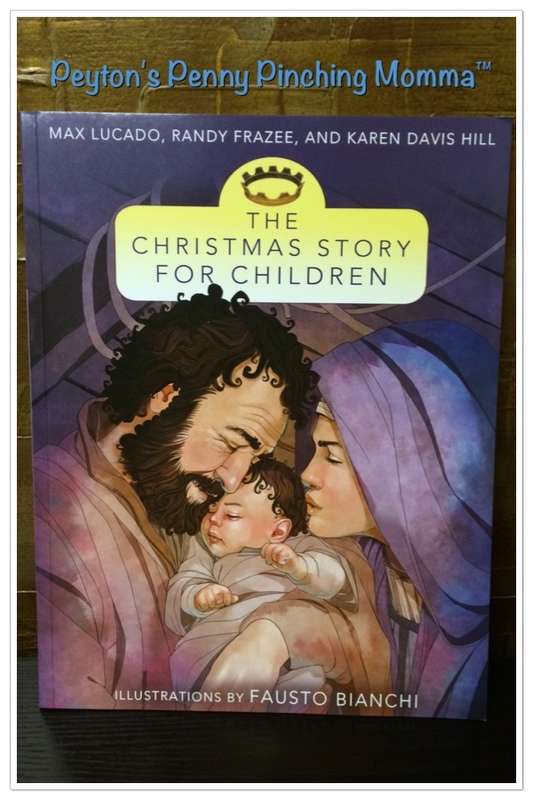 The Christmas Story for Children by Max Lucado, Randy Frazee and Karen Davis Hill is a pleasant read. It really helps explain the birth of Jesus in a way kids can understand. The whole book is upbeat and positive. I really appreciated that. I wasn’t sure what to expect when I started reading. After attending a private Catholic University where I took several theology course I know the story of Jesus can be a little gory and dark. But the authors did a wonderful job at focusing on the positives and happy side of Jesus’s birth. The Christmas Story for Children opens with Mary by herself fetching water. She has not yet married Joseph. But while she is alone the angel Gabriel appears to hear and tells her how pleased God is with her. And that she will have a son soon and he will be named Jesus – the son of God. Next Gabriel appears to Joseph and tells him how pleased God is and how he has decided to bless Mary with his son. Without hesitation both of them believe Gabriel and marry. Soon after they wed, Joseph and Mary must return to Bethlehem for the census. This was the first place I noticed the negative part were left out. There was no talk of what a tyrant the Emperor was. The remainder of the story told of how Jesus was born, that he grew up like all the other children in Nazareth. And then one day he decided he must go, so he headed out on his own. As he was traveling he came upon his cousin John, he was baptising people in the Jordan river. Jesus asked to be baptised. After much hesitation John agreed and baptised Jesus. Shortly after, God spoke to the people and Jesus and proclaimed Jesus was his son. That was the moment Jesus knew his true calling. It was not to be a carpenter but to be a messiah. I would say this is a children’s book but for older children. In my opinion Kindergarten and up. There’s a lot of information to digest and younger children may not understand it. But it’s a wonderful way to help explain to a child that Christmas is about more than gifts. That we are celebrating the birth of Jesus. You can pick up your own copy of The Christmas Story for Children at Amazon.